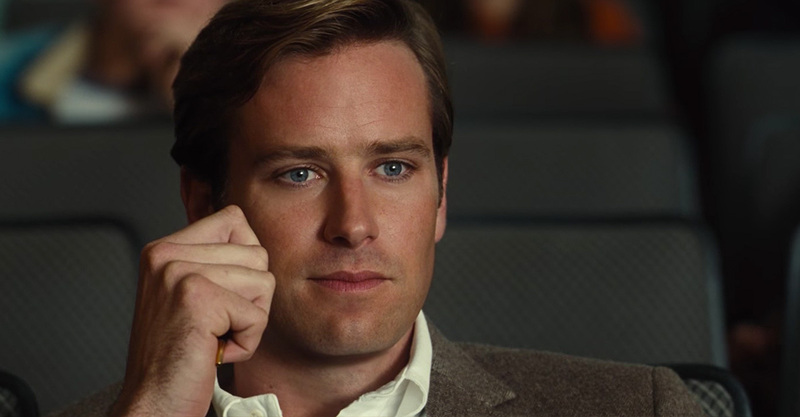 Armie Hammer has emerged as one of Hollywood’s most talented young actors. He was a Screen Actors Guild Award nominee for Best Supporting Actor for his portrayal of Clyde Tolson in Clint Eastwood’s J. Edgar, opposite Leonardo DiCaprio. His breakout performances were as the Winklevoss twins in David Fincher’s hit The Social Network, the winner of three Academy Awards. Mr. Hammer’s dual portrayal garnered him the Best Supporting Actor award from the Toronto Film Critics Association. With his fellow actors from the ensemble, he shared a Screen Actors Guild Award nomination for Outstanding Performance by a Cast in a Motion Picture. His other movies have included Guy Ritchie’s The Man from U.N.C.L.E., as Ilya Kuryakin; Gore Verbinski’s The Lone Ranger, as the title character; and Tarsem Singh Dhandwar’s Snow White tale Mirror Mirror, opposite Julia Roberts and Lily Collins. In the fall of 2016, Mr. Hammer will be seen starring alongside writer/director Nate Parker in the 1831-set drama The Birth of a Nation, which debuted to tremendous acclaim at the Sundance Film Festival. Among his upcoming movies are Ben Wheatley’s 1978-set thriller Free Fire, in which he stars opposite Brie Larson; and, currently in production, Anthony Maras’ 2008-set drama Hotel Mumbai, in which Mr. Hammer stars with Dev Patel.